Back in the days of iOS 6, iPhone users were able to send a quick tweet from their notification center, but that has long since been removed. 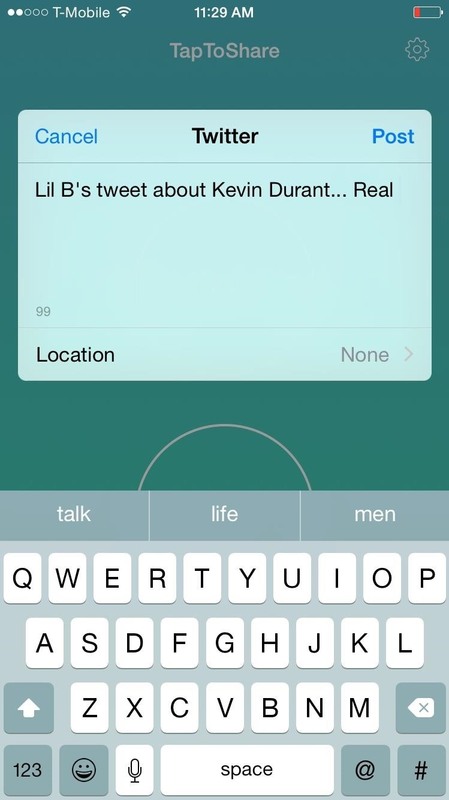 This convenient feature was missed enough on iOS 7 for devs to create a jailbreak tweak in its absence. Thankfully, due to the new widget capabilities of iOS 8, we can have Twitter back in the Notification Center along with Facebook. 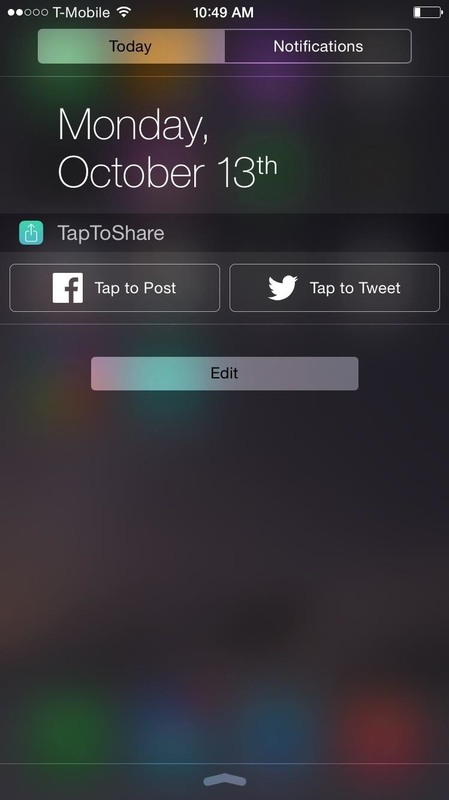 Who knows how long we'll be waiting for Facebook and Twitter to update their apps with official widget support, so in the meantime, install TapToShare to enable quick posting functionality. 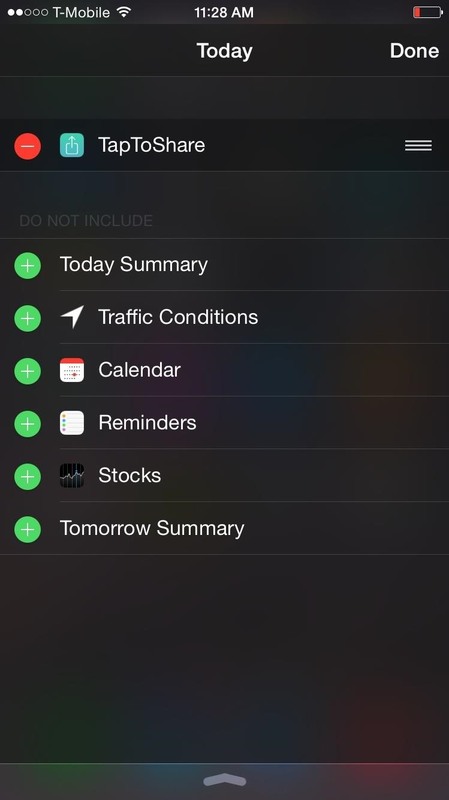 With the application installed, pull down your Notification Center and tap the edit option. 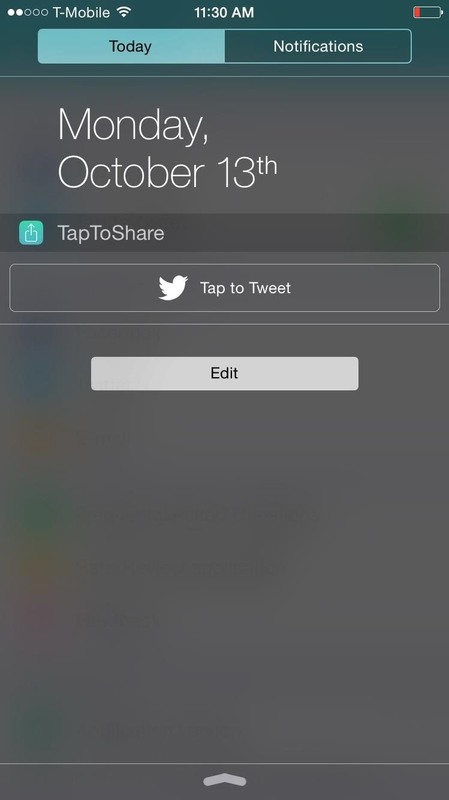 Enable the TapToShare widget and you'll be set. If you're new to widgets and need a better understanding of how to add them, check out our complete widget guide. 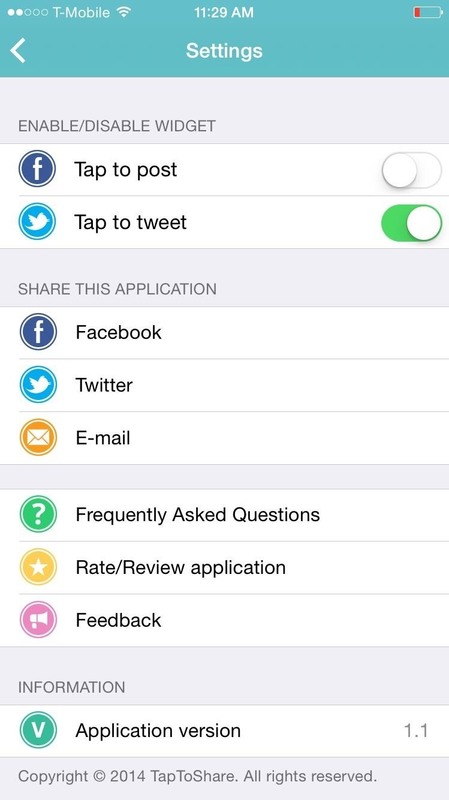 Moving forward, you can now tweet or post to Facebook from any screen without needing to open their official apps. You may not be a heavy Facebook user and only want the Twitter widget (or vise versa), so only enable the widget you want. 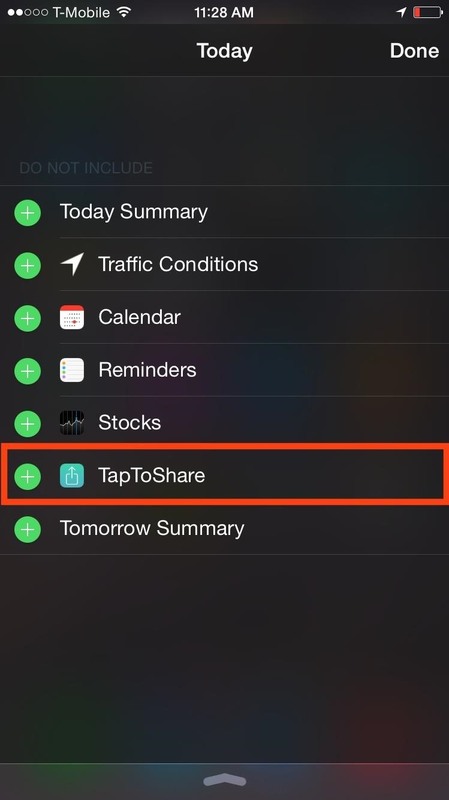 Open the TapToShare application, enter the settings, and toggle on the social network you're going to use. The widget will automatically reflect the change. The only real complaint I have about the app is that when you post, it opens the TapToShare application. It's a petty criticism but I'd prefer it to open nothing if that were possible. Also, hopefully in the future the ability to post images will be added, but that app is fairly new so I'll give it a break. Feel free to share your thoughts in the comments section below or on our Facebook and Twitter feeds.